This article was published by Kyle Patrick (@SlipZtrEm) on January 16th, 2019 in the Gaming category. I tried to upload three times, each time reducing the amount of content from the TV series shown, however the third one contained only gameplay and still got an immediate strike! I had to resort to removing all gameplay footage and replacing it with a picture of my cat just to get the audio up. My third video did eventually get released after I put in a challenge on the grounds of fair use (as it was an early review) and that did finally get OK'd and released. This is the worst I've come across in terms of copyright strikes and even manages to beat out FOM who have a habit of doing it from time to time with F1 titles. Jordan and KepleroGT like this. FerrariF1GT, DaigoD, HarlemG27 and 9 others like this. There is only one man that could be responsible for these shenanigans. 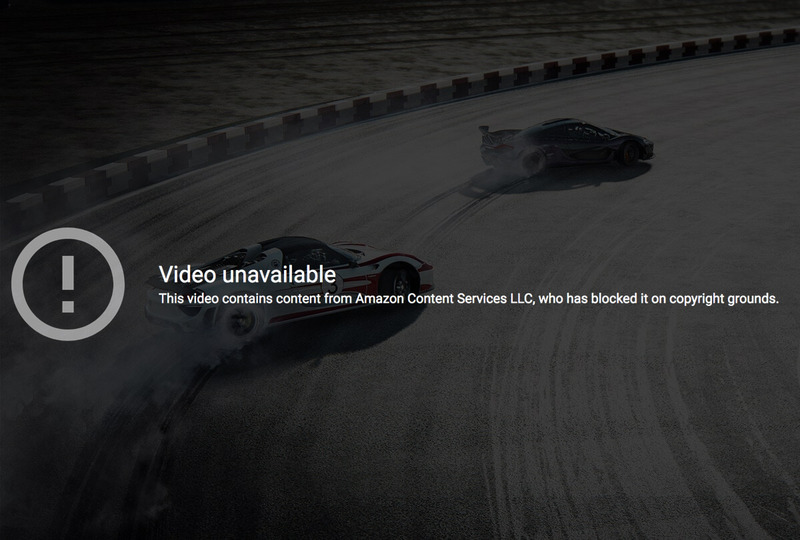 I suspect it's because Amazon set up their copyright claim system in a way that any mention to the show immediatly gets a CR claim.It's very stupid of Amazon to not change their system before the game launched. FerrariF1GT, HarlemG27, CountessGardy and 7 others like this. I was always very suspicious when the price dropped from £25 to £12 not many days before the release date. The game itself is not really a console game, it would be much better suited for mobile. It will be interesting to see though where Amazon game studios can be in a few years time with huge investment. zorrofox and DC2_Evan like this. Does it run at 60 fps at least? Would be embarrasing not to. FoRiZon and KepleroGT like this. What happened to 'fair use' and 'transformative use'? Seems to have gone out of the window and literally 1s worth of content can get your stuff claimed etc. Pewdie was explaining it and it seems very skewed towards frivolous claims with some companies literally being like the old accident chaser lawyers, scouring Youtube for anything to claim the revenue off. Arkanjel72 and JoueurGT like this. Did article 13 come early? Apparently fair use doesn't exist anymore. The car wobbles to much, its something with the position of the camera, also its too far from the car. Mobile? What a joke. I really did not expect anything of this but sounds like it's even worse than expected. Pass. Fan of the show. Chill fun. Easy platinum. Low price. It is very interesting and strange situation. We didn't received review key, we bought the game and our video is still live. We only get 3rd party claim for music, which already was very quiet, so great volcanic hearing from London Music Stream Ltd. Looking forward to statement from Amazon. This, mostly. YouTube is desperately trying to shed itself of its reputation as the #1 spot for pirated content and in their attempts they've decimated their base of legitimate content creators by adopting a policy of "shoot first, shoot later and don't bother asking questions".